CAPOEIRA IS. CONDITIONING. COMMUNITY. CULTURE. CONFIDENCE. Capoeira Cajue Calgary offers instruction in Capoeira, Drumming & Brazilian Dance. The group is a one stop shop for everything authentically Brazilian! The group prides itself on being held to the highest standard of Brazilian Arts and aims to provide the most authentic education and showcases. All teachers have at least a decade of experience and actively train on a weekly basis. With over 25 years of Capoeira, Contramestre Frankenstein remains responsible to his students by inviting guests from around the world; On an annual or semi-annual basis these guests are invited to teach workshops and perform in events to further the groups education and experience. 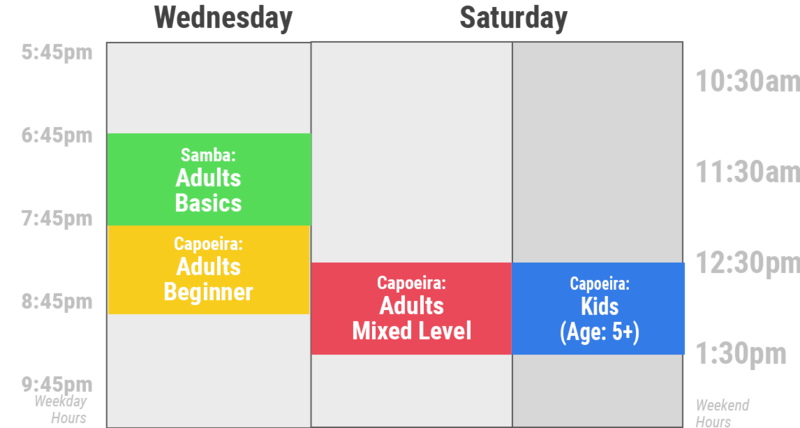 If you are looking for a Fitness Challenge, a Cultural Experience or just something New and Unique, Capoeira Cajue is the right choice for you! If you want to Impress an Audience, no need to look further, Capoeira Cajue is the right Performance Group for you! With Tantalizing Sights & Sounds you will not only have your audience begging for more, you will Leave a Lasting Impression to be remembered by! Workshops can be provided in a variety of Shapes and Sizes. Choose from Standardized Packages or Customized Solutions. Whatever you may be looking for, we have loads of experience and are excited to share our community and culture with you and your customers! Try Something New! Register Today. Experience all the benefits and challenges Capoeira Cajue has to offer!